Most of the people often end up with losing JPG files from their hard drive, digital camera memory card, external drive or iPod. At times when one of the favorite photo file disappear, it is hard to accept that file is no more in its location. If you are walking through such problem, here is a perfect solution for you. JPG Recovery, an advanced image recovery application designed to recover JPG files, using which you can recover the JPG files within few mouse clicks. How the recovery of JPG files happens? In all kind of storage devices there is always one file allocation table which allocates the stored files in the computer. When any of the image files get deleted from the device its not really deleted from your hard drive. It just removes the entry from the file allocation table and shows that place available for other files. But in real that image file is still there in the device. Such images can be easily recovered with JPG file recovery softwrae. 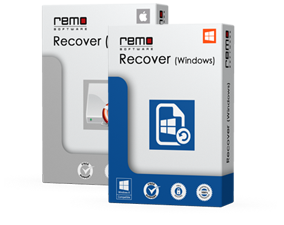 As long as you have this software, no need to worry about how to recover pictures from memory card, hard drive and external drive. App to Retrieve Deleted Photos: One can make use of this handy app to retrieve deleted photos from digital camera, camcorder, mobile phone as well as hard drives with utmost ease. For more updated information, simply ciick here http://www.jpgrecovery.net/app-to-retrieve-deleted-photos.html. This application is now more efficient to restore images from different memory cards. After a recent upgradation, you can employ this Utility to get back deleted or lost JPEG files from SD card. If you need to recover data from SD card, follow this link: www.jpgrecovery.net/files-from-sd-card.html. Good news is waiting for you, i.e. this software comes with a trial version using which you will be able to examine its each every feature before purchasing the software. Step 1: Download the trial version of JPG recovery and install it on your computer. Then the main screen will appear. 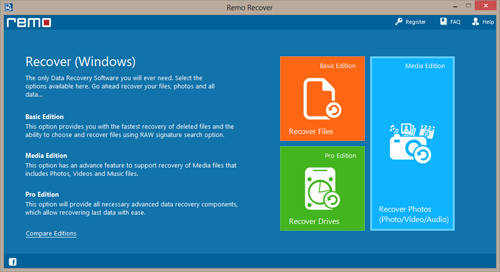 Step 2: Now from the three options appeared on the main screen select the option “Recover Photos”. Step 3: To continue the quick recovery process select the particular drive name from where you want to recover JPG photos. 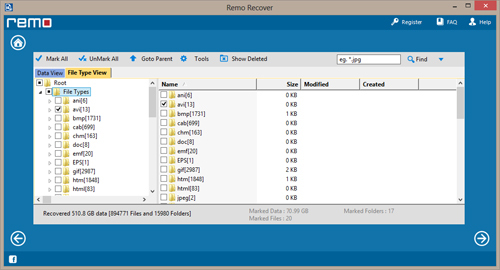 Step 4: After completing the recovery process, recovered JPG files will be shown in list. You can preview the recovered files and even you will be able to save the scan result for future use. Step 5: If you are happy with the results obtained using demo version, buy the application to save recovered JPG files.